Select one of the following speeds from the drop-down menu. All versions of the Yellow Ice Shuffleboard Powder offer excellent control balanced with speed. Each can holds one pound of powder. This is shuffleboard wax powder is good for almost any player. It works as a slow wax on 14'-22' shuffleboard tables, but as a medium wax on 9'-12' tables. This is shuffleboard wax powder is good for almost any player. 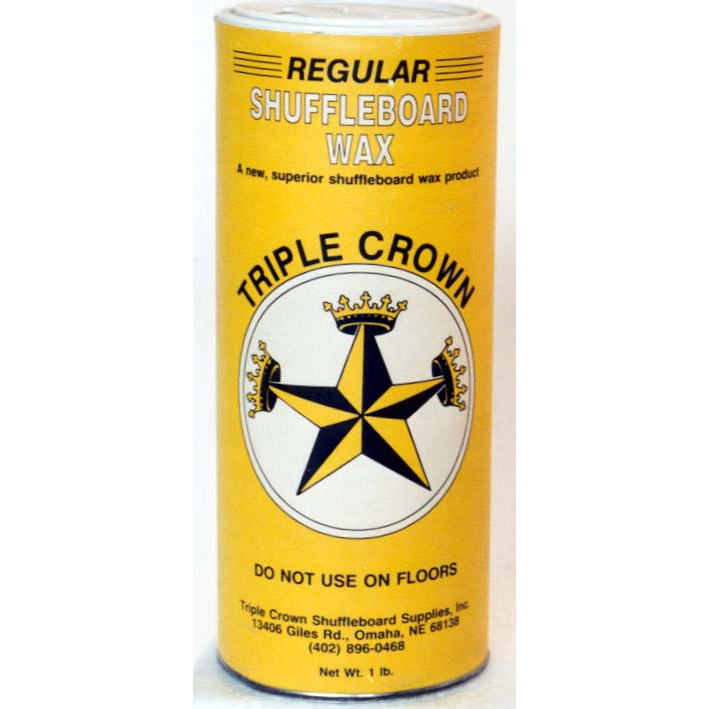 It works as a slow wax on 14'-22' shuffleboard tables, but as a fast wax on 9'-12' tables. This shuffleboard wax powder is faster than the previous. It works as a medium-fast wax on 14'-22' shuffleboard tables. This is tournament grade powder for serious players. It combines Super Glide's pure ball bearing mix with a little slowness to give you superior control.